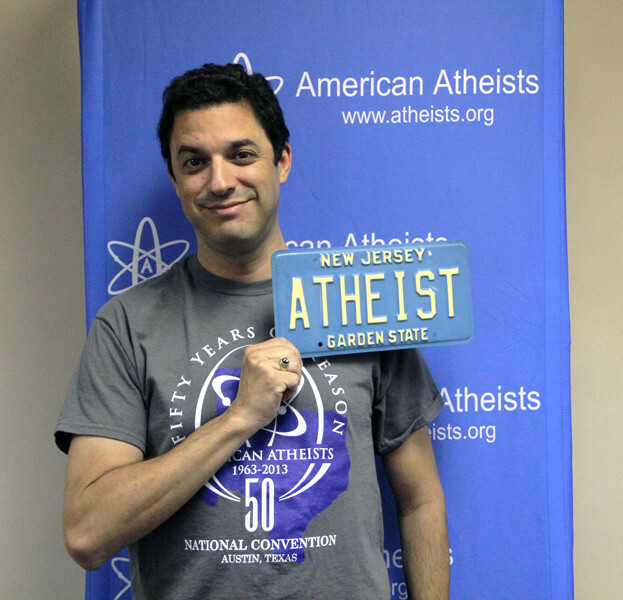 New Jersey does not have a good track record when it comes to handling vanity license plates requests from atheists. Shannon wanted to know what would happen if she requested “BAPTIST” instead… and that one went through without a problem. Shannon has tried to contact the MVC to understand their decision and possibly appeal it, but the MVC just won’t respond to her. They promised to call her… and didn’t. She wrote them a letter. They definitely received it… but didn’t respond to that, either. For Shannon (and to a lot of us), this isn’t just an amusing quirk. It’s discrimination. 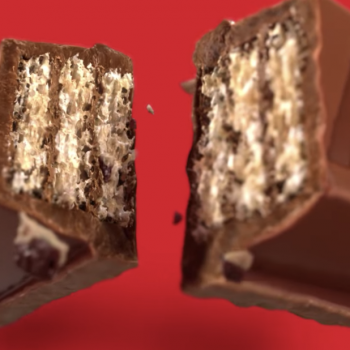 This isn’t a frivolous lawsuit. All the MVC had to do was say “yes” to the plate — or provide a compelling reason when saying “no.” They did neither. 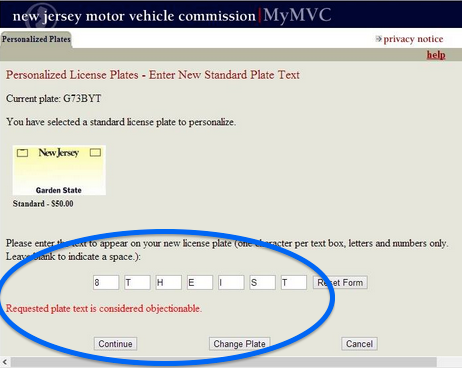 Since MVC officials research all vanity plates before approving them, this isn’t just a computer glitch. Someone thinks “atheist” is a dirty, offensive, objectionable word. Too damn bad. The MVC doesn’t get to say religious plates are okay but non-religious plates are not. Can’t wait to hear their explanation (or apology) this time around. "said the "you" the moron that thinks you're a people, which is according to everyone ..."
"Nope, not even close. 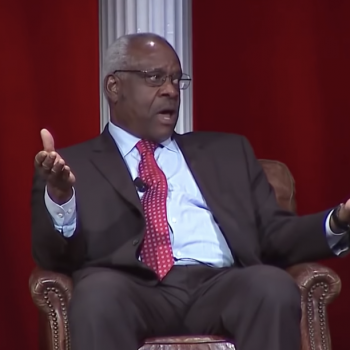 Our liberties come from us, just like the god he worships." "This not only plays into the common stereotype of Christian ultra-puritanism, but also into the ..."
"you support murder of children, that's not an assumption, you are in fact guilty by ..."